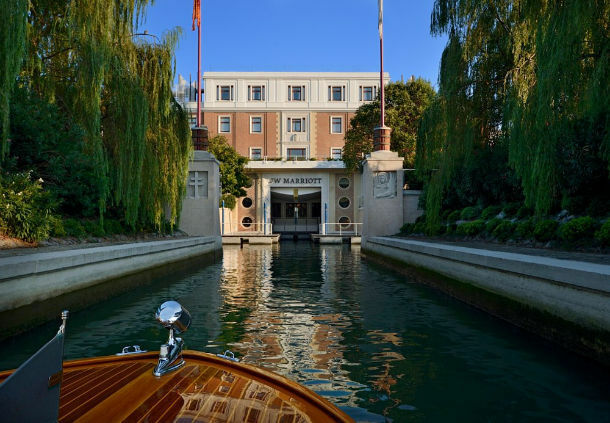 It feels as though you are in a James Bond film when you arrive at the JW Marriott Venice. After touching down at Venice Airport, a chauffeur greets you in the arrivals lounge. He whisks you off to a private speedboat that awaits in the water next to a pier that beckons you towards the famous floating Italian city. At first, the boat gently glides its way through some of Venice’s iconic canals. The journey gives you a sneak peek of this enchanting city where George Clooney invited a host of Hollywood A-listers to witness his marriage to Amal. 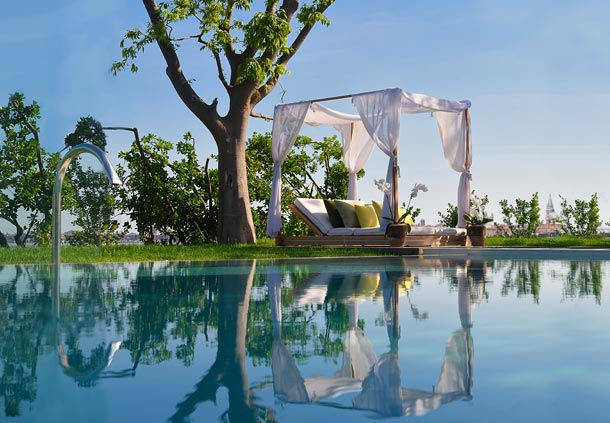 However, when you reach the open water of the lagoon, it is time to speed off at full throttle towards a charming private island that is home to the luxurious JW Marriott Venice. The property welcomes impressive speedboats into the heart of its grand entrance and boasts its own private pier. 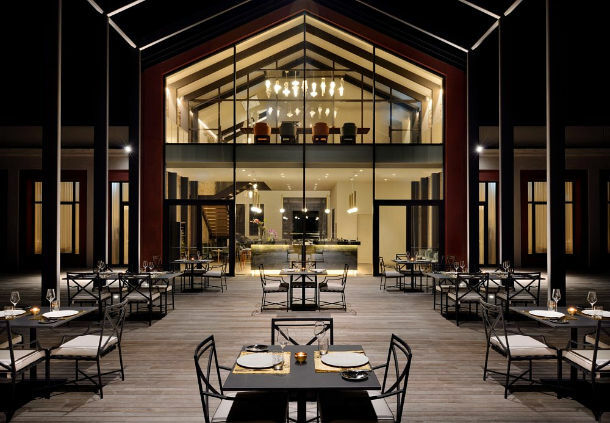 This hotel allows guests the ultimate 007 arrival. It ensures an incredibly glamorous start to a holiday, which can be continued in style on the secluded island. The island has a micro-climate: you can enjoy some of the freshest air in Venice while basking in glorious sunshine throughout the spring, summer and autumn months. 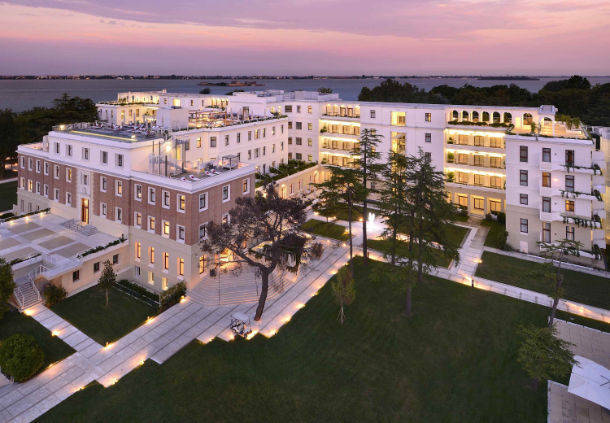 Although the island was abandoned for 40 years prior to the JW Marriott Venice rejuvenation project, it previously operated as a private health clinic. It was considered a welcome retreat for those looking to escape the oppressive heat in the city of Venice. This is largely thanks to its location because it sits halfway between the lagoon and the sea. Thus, the island is a haven for nature and even during its abandonment the beautiful olive trees managed to thrive thanks to its precious situation. The hotel has now restored olive oil production and uses the trees to support the restaurant needs. In fact, this is a theme that runs throughout the property. The chefs utilise the large vegetable garden and make sure that local ingredients are present on the menu. 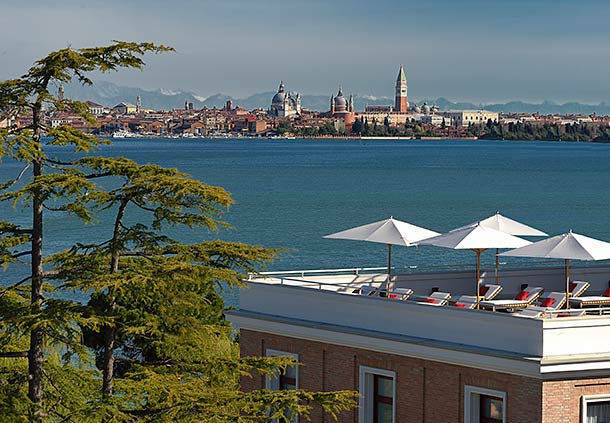 The JW Marriott Venice presents guests with all of the luxury amenities that you would expect at a property that is part of this group’s premium global portfolio. It is also relatively new and has been open for little more than a year. With this in mind, it comes as no surprise that the JW Marriott Venice exudes fresh modern furnishings. 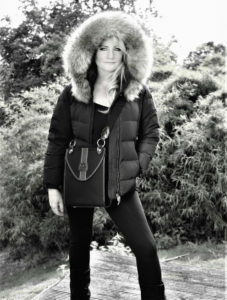 However, these have been carefully incorporated to complement the surroundings. Dining at the JW Marriott Venice is a treat, especially if you book a table at the Dopolavoro Dining Room. This restaurant was awarded its first Michelin star in December 2015 and the menus are exquisite. Herbs are gathered fresh from the garden and the day’s ripe produce is handpicked at the Rialto Market. The cooking style is simply outstanding. In fact, this was one of the best meals that I have ever experienced and the Veneto-inspired cuisine is incredible. The flavours, presentation and unique flair of each dish ensure a truly memorable experience. Another highlight of the property is the fabulous rooftop terrace. Those familiar with our travel section will know that I love nothing more than a good view. 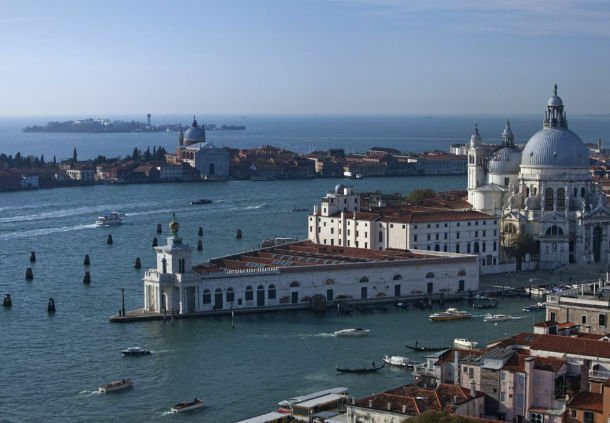 I have been lucky enough to admire some incredible settings and the panorama that can be enjoyed from the JW Marriott Venice ranks among the very best. There is a 360 degree view of the lagoon and the city features in the backdrop. It is particularly beautiful during sunset. 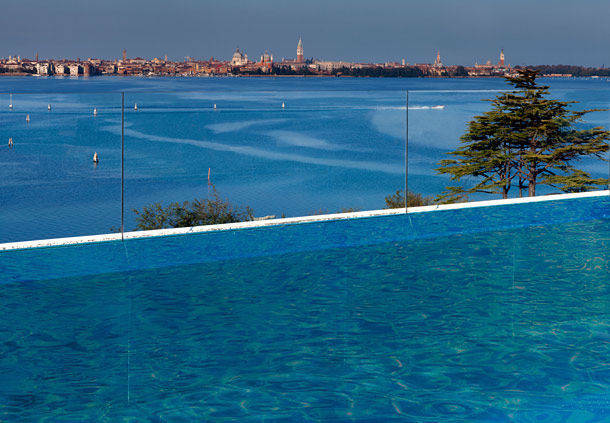 Apart from admiring the view from the rooftop terrace, guests at the JW Marriott Venice can also make the most of a pool and an open air restaurant. The food embraces a Mediterranean theme and you can enjoy splendid views of the whole island and the Venetian lagoon while dining al fresco. 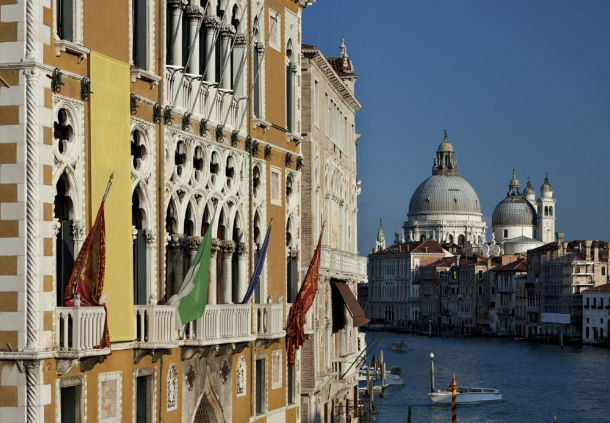 The JW Marriott Venice provides a little piece of paradise away from the hustle and bustle of Venice, which is extremely popular with tourists. Of course it is essential to visit the city during a trip to this part of the world and the boat shuttle takes you there every half an hour. A day trip will allow you to explore some of the famous sites and walk across some of the iconic bridges that take you over the canals. You can also visit the shops, which are packed with special glass sculptures and theatrical masks. 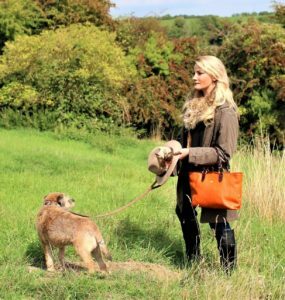 However, despite the spell bounding culture that is offered by the city, you will likely tire of the tourists after a few hours and want to return to hibernate within the peaceful surroundings of the island. The spa gives access to another aspect of the property and you can rest by the waterfront, while enjoying the sunshine. The lagoon almost sparkles at your feet and this part of the island is very tranquil. The spa is the largest in Venice. 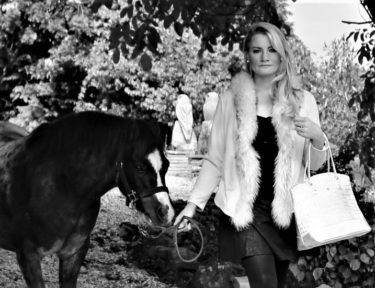 It includes a number of treatment rooms, with an indoor and outdoor pool also available for use. 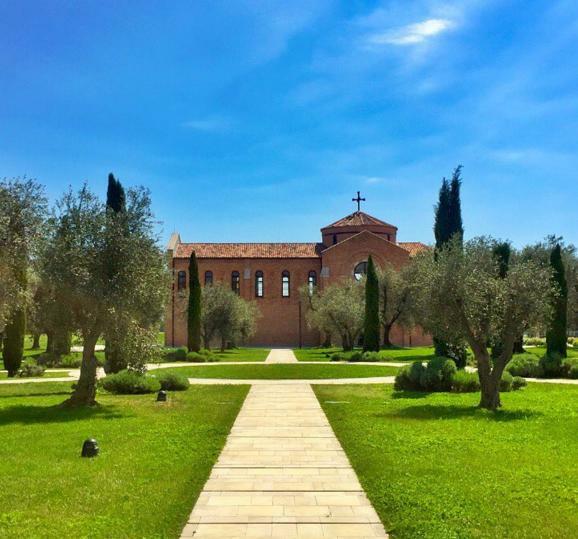 Meandering through the century-old garden and grounds while admiring the olive groves, fruit trees and the old church will encourage you to fully relax. If you want to spend some time on your own, one of the 266 contemporary-styled rooms or suites await. These are all very spacious and many of the suites feature private terraces and plunge pools. For those who enjoy Italian cooking, the Sapori Cooking Academy provides courses that will give you insight into traditional Veneto cooking techniques. There is also the chance to partake in family activities, including water sports and the kids club. There is even a separate swimming pool for children that is located in another part of the island. The JW Marriott Venice successfully caters for lots of different needs. When I touched down in Venice I overheard a local man saying you will only need a couple of days here. His words proved correct when it comes to wending your way through the mass of tourists that visit this stunning city. 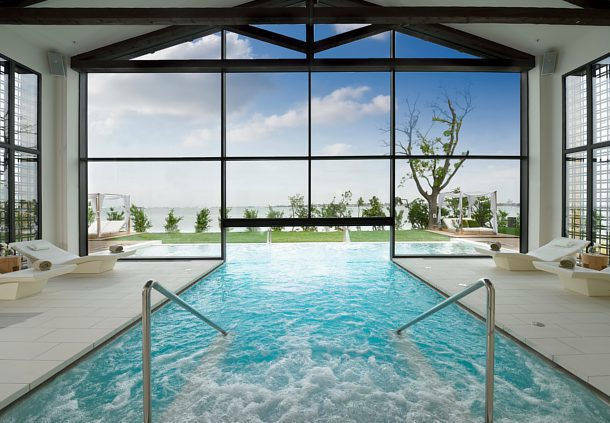 However, you can escape the crowds by basing yourself at the sophisticated JW Marriott Venice. This means you can dip in and out of the main attractions at your leisure (via speedboat of course!) and you’ll find that you won’t want to leave at all.